As ULearn11 is just round the corner, I thought it might be a useful exercise to examine some metrics from the CORE Events system. Traffic coming to http://event.core-ed.org is from delegates that are registered for ULearn and Learning@School conferences, and these visitors are inherently from the education sector. 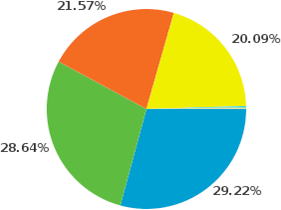 Most visitors will be browsing the site on a school supplied device, and most likely using their school network. We use the Google Analytics platform to gather visitor metrics, and the following snapshot is based on these visitor statistics. So, lets move on to the more interesting stuff. Browser statistics follow the general industry trends, and there are no major surprises over your choices of browser. Interestingly, Safari debuts at the number 3 browser, so, unless many of you use Safari on a Microsoft platform, it shows how prevalent Apple computers are becoming. 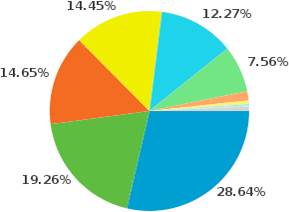 The majority browsers show some interesting statistics. 75% of Firefox users are not using the latest version of their browser, and 31% are using an outdated version. If you are a Firefox user, check and update your browser now. The good news here is that only 8 of you are still using IE 6 (if this is you, do not pass go, or collect $200 until you have updated your browser immediately). Unfortunately, you need to be on Windows 7 to be using Microsoft’s flagship browser, IE 9, so those of you on XP or Vista will need an OS upgrade to take advantage of a truly modern browser. Without exception, all Safari users were using the latest major version of Safari. Either the Apple updating process is smoother, or you like to be running the latest and greatest. Chrome has a mandatory updating process that is mostly invisible to the user. Almost all visitors were using the latest Chrome point release, with only a couple of stragglers. The eternal, age-old debate of which does what and how much better. Again no major surprises here, although the Apple share is a little higher than normal, and, surprisingly, 4 of you are using Chrome OS. Sadly 1/3 of Microsoft visitors are using an operating system that was introduced in 2001, and if it wasn't for the introduction of netbooks, would have been dropped several years ago. If you are using XP you needed to upgrade yesterday. Quite surprisingly, most of you have bucked the global trend, and haven't upgraded to the latest Apple OS, 10.7 Lion. There are still 4 of you using a PPC Mac. 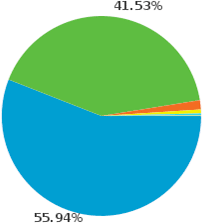 Who is using which browser on which operating system? So, to answer the age-old question, it appears that Internet Explorer and Windows are the dominant platforms in the education sector. The amount of information from Google Analytics is truly staggering, and after sifting through the data I found a few interesting points. 3 visitors were from Nigeria, presumably looking for relatives of your recently deceased uncle? The metrics show that the education sector is in a pretty good shape IT-wise. Apple has a greater share than the global norm, but it certainly appears that this is an education sector thing. I will repeat the exercise before ULearn 2012, and compare the results. I hope we will see more of the legacy devices and platforms drop off the radar. Windows users should upgrade to Windows 7 immediately, which may include new hardware to allow this. Macintosh users should upgrade to Lion immediately. Most of your machines are Lion capable. Not many education sector people use mobile or tablet devices to browse the internet. Based on the number of delegates I saw at ULearn 2010 with iPads, iPhones and Android devices I'm surprised. I am a great advocate of the cloud as a way to share, and a way to store. I have for many years been drawn to the concept of folksonomies – organising knowledge by tags (with knowledge as a pile of leaves—as opposed to taxonomies (knowledge as leaves arrayed on specific branches sorted by traditional classification). I would always argue for open and shared creation of documents and files, rather than closed and private. Collaboration. Informal. Shared. Cooperation. As a child of the sixties it all makes perfect sense, man. But now I have the practical reality of using Google Docs and the cloud every day. I should feel at home, confident, and at ease. I am, however, conflicted, discombobulated even, and I have been trying to think of a metaphor that sums it all up. In many ways it’s like making the huge shift from storing all your own clothes in your own drawers and cupboards in your own way, sorted in a manner that makes perfect sense to you, (my wardrobe is black on the left, white on the right, grey in the middle), to sharing your clothes in one huge bedroom or closet with 100 other people. I can find any item of clothes in my own room in an instant. No problem. In the dark. Half asleep. Socks: top drawer, paired, all black. 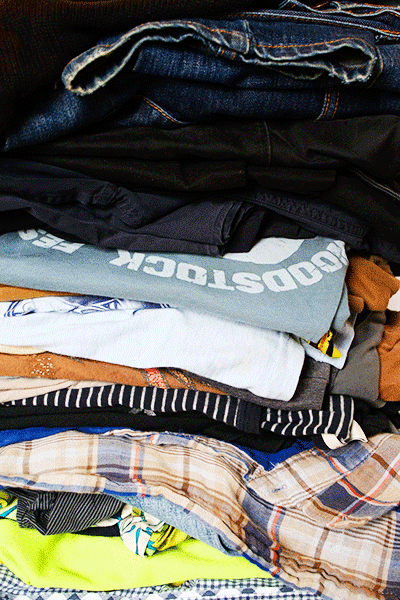 Tee shirts: third drawer down – just grab one. No problem. With 100 people sharing my storage area, getting dressed can be a real worry. People are constantly moving clothes to different drawers—throwing them out when I expect them to stay there forever, adding a constant flow of new clothes in a big pile; items of clothes are never named, so I don’t really know what I’m looking at; people are renaming clothes just when I know where they are—it drives me crazy. And then (pushing the cloud and Google Docs as communal clothes storage metaphor further), when the Internet is not available to me, there is no access to my clothes at all. I am left with few options: going back to bed, resorting to old items—yesterday’s clothes from the laundry—or going shopping. Judging from the Google Doc forums I am not alone. Collections missing, new clothes don’t show up in the right drawer, strange items of clothing turn up with me as the owner, my clothes have disappeared, and so on. Good to know I am not the only one struggling with this problem. For assistance and ideas on how to use Google Docs, I suggest you add the Google Docs blog to your reader. If you want to keep your drawers tidy, that’s over to you. Making learning spaces and resources work for users is an ongoing challenge. Everyone has different needs and learning styles, and there is definitely no one-size-fits-all. But one thing we can do, is raise the bar, so that from the outset, our ways of working and the presentation of our resources is the best that it can be. Two approaches to learning are gaining momentum in education. In the US, Universal Design for Learning is beginning to become a touchstone for education departments looking to underpin ways of working that are more inclusive. In Europe, a similar approach known as Design for All, is cutting a similar path, and which also places an emphasis on the need to collaborate with a cross-section of users in the design of environments, resources and services. Underpinning both approaches is the belief that, if we consider the needs of all users at the outset, rather than an “illusory” group of homogenous mainstream users, we can avoid a massive effort in retrofitting environments and resources for individuals. This approach doesn’t negate the need to personalise environments for very particular needs, but we may have to make many less adaptations if we have planned for diversity in the beginning. In education, one obvious example, in a property context, would be the inclusion of wheelchair access to all parts of a new school when it is first built, even if there are no members of the first cohort of learners who use a wheelchair for mobility. The rationale underpinning this design decision would be the understanding that parents, whānau, a staff member or visitor to the school, a new student or a current student following a sporting accident may at some point use a wheelchair. 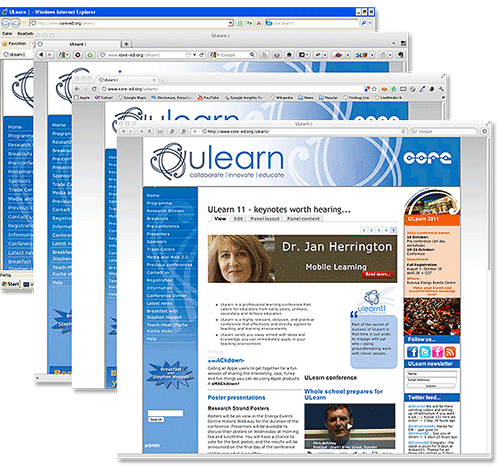 Avoiding the retro fit is also applicable in the area of e-learning. Our use of ICTs in our classrooms and learning-communities is increasing, and there are great examples of schools using technology to improve outcomes for learners. Also, many teachers are confident in their ability to differentiate learning activities. But the concept of eAccessibility may still be unfamiliar. Yet, if we are going to avoid having to retrofit resources, we need to collectively get our heads around new ways of thinking about access to learning. Again, it is the planning at the outset that makes a difference. A tangible example of where we can make a difference and model eAccessibility in teaching and learning is in our use of video. When working alongside students or colleagues who are making a video, initiate a discussion around audience and purpose. If the intention is to share the video publicly, draw into the discussion the need to make a resource that will be meaningful to an audience with a range of access preferences. Some people can see but not hear; some people use only their hearing. Some people read more slowly than others. The video needs to work for everyone. Use of captions and transcripts to assist users who have a hearing impairment to have access to the same material as sighted learners seems like common sense. But captions and transcripts also provide access to the video content in an alternative visual medium and provide opportunities for increasing understanding for all users. For learners who may have cognitive or second-language needs, a transcript provides an opportunity to access the content at their preferred pace, or pause on unfamiliar words. As a sighted user, I will often scan a transcript for a quote, or re-read something I want to clarify. 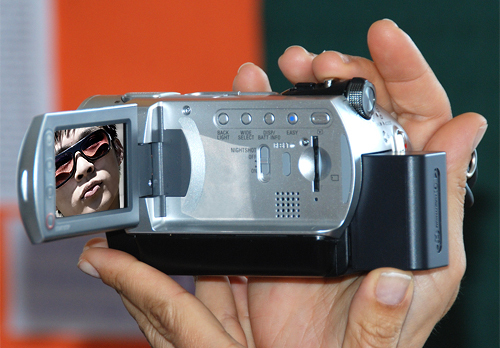 Both in and outside education, the awareness and the ability to create more inclusive video is increasing. In New Zealand, the Curriculum Stories on NZ Curriculum Online site provide a sophisticated example of how to provide a range of access options for users. Each video is captioned, and has the transcript placed below the video—the preferred option, so that users don’t have to jump backwards and forwards between pages. YouTube and Blip TV also now enable video producers to add captions to uploaded movies. Both services are a little clunky, but it is worth honing some captioning skills now, and passing them onto your colleagues and students. UDL examples and resources – link to implementation support page at the National Centre for Universal Design for Learning (CAST). Design for All – the website for the European Design for All e-Accessibility Network. Competing on the world stage … will require intensive reforms …. Inflexible, exam-based school systems stifle creativity and channel top students into a handful of fields … parents are forced to spend extra money on private tutoring ….Vocational training is also lacking. The result is a skills gap: a chasm between the qualifications of graduates and what employers actually require. No, not New Zealand, but Egypt. I have picked the ‘eyes’ out of a Time magazine article on education in Egypt: Seeking Growth After the Arab Spring (subscription required to read full report). But what captured my interest was that here is a country with a struggling education system, yet quite a few of the statements ring true for New Zealand, a country which may be considered on the opposite side of the continuum from Egypt, educationally. Our 'long tail’ of underachievers certainly matches Third World OECD statistics. We, too, have a heavy focus on assessment and standards. Sure, we don’t have an inflexible exam-based approach, but, arguably, assessment still drives learning rather than the other way around. And, as a high stakes investment, assessment-driven learning has less to do with equipping students for the 21st century, and more to do with league tables and the self-preservation of school status. Many New Zealand parents feel that schools are not meeting their child’s needs and pay for outside tuition to help their children succeed. Successive governments have axed many vocational courses that provided alternatives for students. The result of all of this, as it is in Egypt and the rest of the world, is the growing problem of large numbers of disaffected youth. Is it a whole school curriculum harnessing the best of technology and designed to meet the future learning needs of students within their catchment? How are key competencies being embedded into subject areas? Are schools teaching subjects or teaching students for lifelong learning? What opportunities for creativity, problem solving and higher order thinking are students being given? How do current assessment expectations contribute positively to students’ futures? I wonder, too, about the extent to which school communities have an understanding of globalisation, 21st Century learning, and the need for rethinking the way schools deliver education today? Schools across New Zealand are now expected to be implementing the Registered Teacher Criteria for all teachers renewing or reapplying for a practising certificate in 2011. These criteria have been designed to be used as a framework for teachers’ ongoing reflections and professional learning, not just as criteria to be assessed against (Registered Teacher Criteria Handbook, 2010). 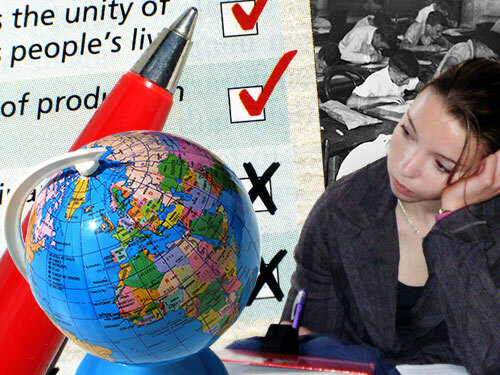 The criteria do provide plenty of guidance based on what is known about quality teaching and learning. However, in a modern 21st century teaching and learning context, it is quite surprising that there is no mention of e-learning or teaching using digital content in any of the twelve criteria. Given the roll out of ultra-fast broadband to schools, I believe we are approaching the ‘tipping point’ where the expectation will be that all teachers are implementing e-learning in their classrooms. Therefore, I would have thought that the criteria would have been a place where this could have been embedded to send a signal to the teachers still pressing back that they are going to have to take a deep breath and come on board. Working as Digi Advisors, my colleague Rocky and I felt that this was an area where we could try to ‘plug the gap’ and give some guidance on how the criteria could align with e-learning. Out of this work has arisen the Registered Teacher Criteria wiki. 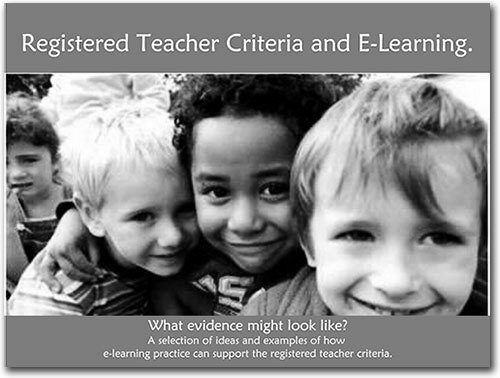 The wiki has a page for each of the criteria with a range of ideas and examples on how this criteria could be met through the use of e-learning. The feedback on the wiki has been very positive to this point and the speed at which it has been ‘passed around’ through social networks has shown us that there is a place for this kind of resource. We have also been in touch with the New Zealand Teachers Council and we see some exciting possibilities in aligning our work with theirs in the future. At this point, we are really keen to get the perspectives of those working in schools on what is useful and what could be improved. So if you can, why not go and look at the criteria and be part of the conversation. Do you think that e-learning should be an integral part of the criteria or was it appropriate that it wasn’t included? If the implementation of e-learning should be considered, what are the things that should definitely be a ‘baseline’ in terms of e-learning implementation that all teachers should be demonstrating to be considered ‘satisfactory’? What would you see as the way forward to best promote the use of e-learning in schools in relation to the critieria?